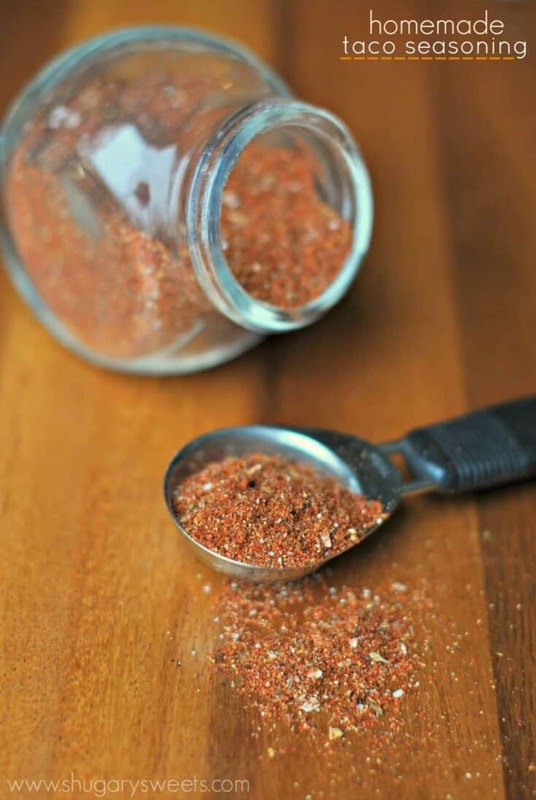 Ditch that high sodium taco seasoning and make some Homemade Taco Seasoning instead! It’s so easy!! Every February my husband and I initiate a spending freeze at our house. We’ve done it several years in a row, and for the most part it’s been quite successful. Basically, we try to not spend any extra (fun) money during month. We pay our bills of course, but eliminate much of the “extra stuff.” I typically try to only purchase produce and dairy each week, keeping a budget of under $100 a week. With 6 people and 2 dogs in our family, and shopping organic for those items, this is tough. Oh, and don’t forget I’m a food blogger! I typically spend closer to $400 week on groceries and toiletries! Empty the pantry. Over the course of a year I have a tendency to overstock our pantry, our freezers and our cabinets with food. By going on a spending freeze, this gives us the opportunity to consume those items! 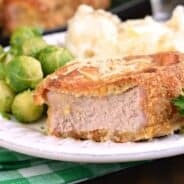 I try to create our menu each week based on what I have on hand. Soup is one of the best ways to toss in a bunch of stuff and hope it taste good, haha! Refocus on menu planning. Because of the limited budget for food, and the elimination of all eating out in February, menu planning is key! This helps me get back in the routine of planning our dinner menu for the week. When the menu is planned, there’s no last minute “I don’t know what to make tonight, let’s just go eat out” moments. Get Creative! It’s fun and challenging to go through my candy and chocolate stash during February. Since food blogging is my job, I still have to create recipes. This gives me an opportunity to try things outside the box! It’s also a great month to make White Trash Candy, using up the extras in the pantry! Focus on the family. This is a great time to play family board games, watch movies together and just hang out! The kids have learned if it costs money, we won’t be doing it! Save money. Obviously by eliminating the “excess” our family has an opportunity to save money. This is a valuable lesson we enjoy helping our kids be a part of learning. They are quite aware of the February spending freeze and the limited food budget. I try to get them involved in the menu planning process and grocery shopping to teach them that you really have to watch what you put in your grocery cart because it adds up fast! We also discuss the saving of money and how we will use this saved money. In the past, this has been our vacation money so it’s exciting to see how fun it is to save. Some years we find a charity (or just our church) to give an extra large donation! Having a limited grocery budget means, I WILL run out of something I want. Frequently. Especially if you know my family and learn how often we eat some sort of taco seasoned food. Several years ago in the middle of our “No Spend February” I ran out of taco seasoning. I know the seasoning packets don’t cost much to purchase at the store, but it got me thinking, I bet I can make this at home! Unfortunately I don’t remember where I got the inspiration for this recipe, as I’ve been using it much longer than I’ve been a food blogger. But after searching online a bit, it seems there are NUMEROUS variations similar to this one! Feel free to add or subtract seasonings as you like. Add more red pepper flakes for a spicier taco seasoning! I occasionally will add 1 Tbsp cornstarch or flour with this seasoning, depending on the recipe I am using it for (to help thicken). I don’t store it with the flour or cornstarch, because some recipes it’s unnecessary!! Mix all ingredients in a small bowl or mini mason jar with lid. Add more red pepper flakes for a spicier taco seasoning! 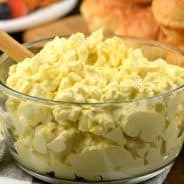 I usually double or triple this recipe when making it so that I have it on hand at all times! For taco meat to put on a taco or salad, I would usually use about 1 1/2 Tbsp per pound of meat. I would also add in about 1/3 cup water and 1 Tbsp cornstarch. If it’s ground turkey I would use less water (doesn’t seem to soak it up as well). 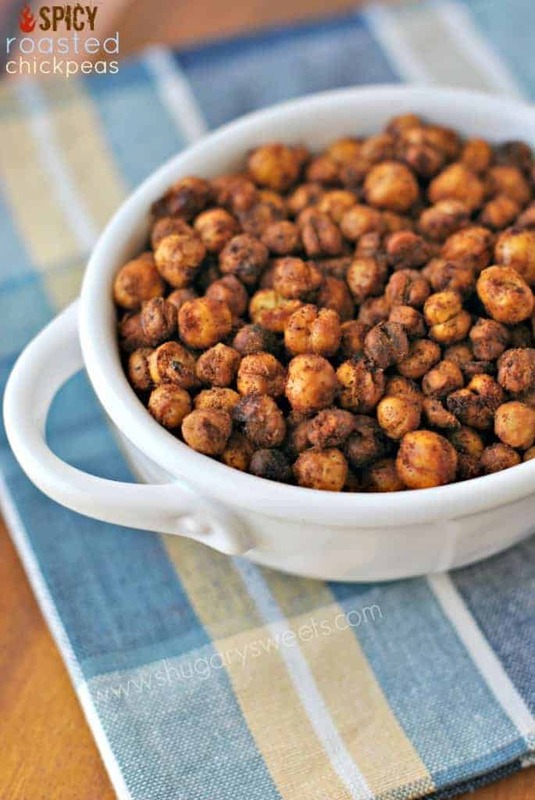 Check out these Taco Roasted Chickpeas! Substitute homemade taco seasoning in this recipe! WOW, this is a great idea — these taco packets run over a dollar per by me, so that was making me crabby. What is the reconstituting recipe, though? How much water, if any, do you use? How much powder per pound of beef? Also, I like the tomato-y aspect of the sauce, have you experimented with tomato powder? I have had trouble finding it, and I think ordering it over the internet would undo the money savings. How much tomato sauce would you add, if you did? Thanks. 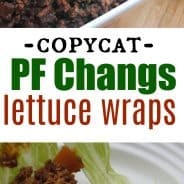 If I’m just make taco meat to put on a taco or salad, I would usually use about 1 1/2 Tbsp per pound of meat. I would also add in about 1/3 cup water and 1 Tbsp cornstarch. If it’s ground turkey I would use less water (doesn’t seem to soak it up as well). I’ve never seen tomato powder!? You could add in a tablespoon (maybe more, maybe less) of tomato paste to get that tomato flavor? It’s more constituted than sauce, and won’t make your meat liquid-y. You can freeze your remaining paste in ice cube trays. I think the tomato powder she is referring to is actually tomato bouillon. You can find it with the other bouillon usually. If but there than on the international aisle with the Mexican food stuff. I buy the big taco seasoning from costco but I want to try this when I run out. I love the idea of having a month of not spending anything extra. I will sugest this to my husband. 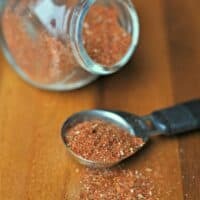 Homemade taco seasoning is a great idea! I just love homemade seasonings 🙂 will be keeping this mixture handy! We try to limit our spending as much as possible pretty much year round. 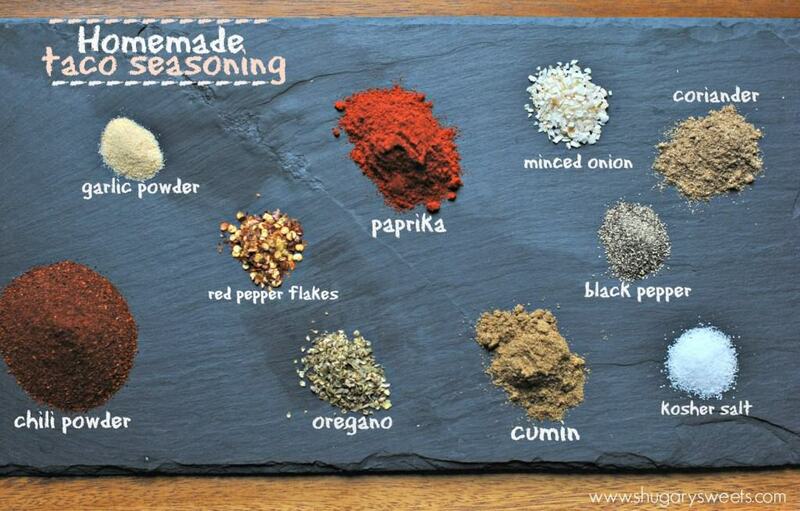 Making your own seasoning mixes is a great idea. I can’t wait to try your version of taco seasoning! Great idea! I can’t wait to try this and add this to a gift basket, thank you for sharing. I see a lot of comments about how this may save them money. I understand that, but the REAL value is that I will actually know what I will be flavoring my family’s meat with. There seems to be a lot of non-natural things in those taco seasoning packets-yuck. You have some great recipes! Thank you!! Was going to make chicken tacos, didn’t realize that we were out of packets…thus great time to try home made. Tastes just like the packets! Thanks! I make my own taco seasoning all the time. Buy quality spices and you’ll never go back to the salt-laden packaged stuff anymore! Pingback: 7-Layer Taco Dip – Easiest Recipes Ever!